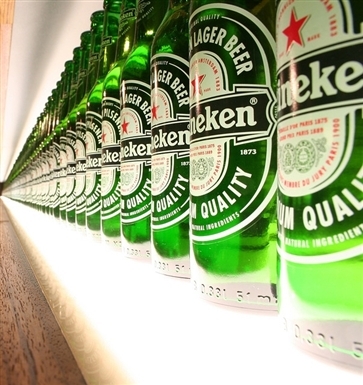 Learn, taste and see all about Heineken Amsterdam. The Dutch famous Heineken beer closed its brewery and turned it into a museum / attraction park where visitors can see the history of the Dutch beer, learn about the family history and how the beer was brewed at this location. A fun and tasty experience about the famous Heineken Amsterdam! The Heineken museum has been renovated in 2008 to make it more fun for tourists. It became more interactive, more to see and more hands-on. 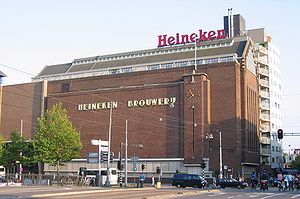 It is a four floor high building full of entertainment, amusement and a big advertisement for Heineken. It attracts lots of visitors a year and you sure will have fun. Here you can see, smell, taste and enjoy the world famous Dutch beer. The Heineken Amsterdam Experience is a self-guided tour, but you can go in any time during the day and the tour will take about 1,5 hours. From the Central Station take tram 16, 24 or 25. Get off at Weteringcircuit. Tickets are 17 Euro per person for 16 years and up. 8 - 15 year: 13 Euro per person. No alcohol served for persons under 16 years. 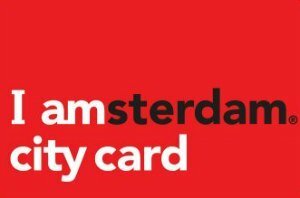 IAmsterdam Card gives you a 25% discount and the Holland Pass gives you free entry. Daily from 11.00 a.m. until 7.30 p.m. In the summer months open on Friday and Saturday until 9.00 p.m. The first wine bar/restaurant of the Netherlands! Here you can sit, relax, eat, and taste a great variety of wines. 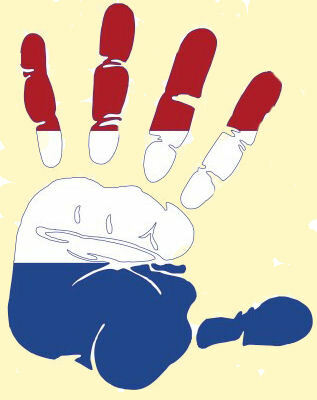 It’s around the corner (1ste v/d Helstraat 50),just follow the Stadhouderskade and take the first street on your right.